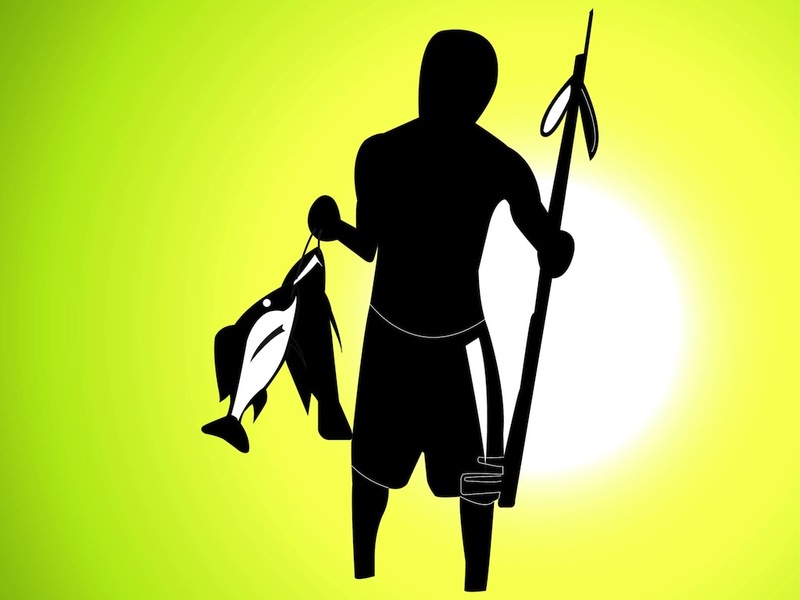 Vector portrait of a man with fish and a long pole in his hand. Dark silhouette with recognizable outlines of the clothes and body parts. Free vector portrait for all fishing, looking for food, hobby and job design projects. Perfect for T-shirt prints, stickers, posters, advertising materials and logos. Tags: Adventure, Fish, Fisher, Man, Pole, Shorts, Silhouette.